Saving the Wild will be tweeting throughout the presentations to the Committee of Inquiry. Get live updates here. NAIROBI — A Committee of Inquiry established by South Africa’s Department of Environmental Affairs will begin hearing expert testimony tomorrow on the subject of legalising the rhino horn trade as the Southern African country, home to more than 80 per cent of the world’s rhinos, grapples with a rhino poaching crisis. Based on its own investigation and testimony given by experts at the three-day meeting, the Committee will eventually make recommendations on whether South Africa, a signatory to the Convention on International Trade in Endangered Species of Wild Fauna and Flora (CITES), should submit a proposal to legalise rhino horn trade at CITES’ 17th Conference of Parties meeting in Cape Town next year. Any move to legalise the trade in rhino horn, however, will do more harm than good, says African Wildlife Foundation (AWF). – There are fewer than 25,000 rhinos remaining in Africa, compared to the tens of millions of existing and prospective rhino horn consumers in demand countries such as Vietnam, a country of 90 million, and China, a country of 1.4 billion. Hence, there is no realistic scope for achieving a sustainable balance between the supply of and demand for rhino horn. – A decision to legalise rhino horn trade could be interpreted as an endorsement of the erroneous belief that the horn contains medicinal properties. A rhino’s horn is made up of keratin, the same material found in human hair and nails. Consumers in many Asian countries, however, believe it can cure everything from a headache to cancer. If legalisation is perceived as an endorsement, it could stimulate, rather than curtail, demand. – Based on the experience with the elephant ivory trade over the last 25 years, legalisation as a strategy has proven ineffective in stopping elephant poaching. The only thing that legal trade has done in the case of ivory is complicate law enforcement efforts in combating the illegal trade and removed the stigma once attached to owning, buying and selling ivory. AWF urges simplifying the job of law enforcement with regard to wildlife crime. – Given CITES’ one-country/one-vote procedure and the rhino’s highly threatened status, a proposal to legalise rhino horn trade is highly unlikely to pass. Pursuing a proposal to legalise rhino horn is therefore a distraction and a waste of political capital, and it divides conservation stakeholders at a time when there should be unity. 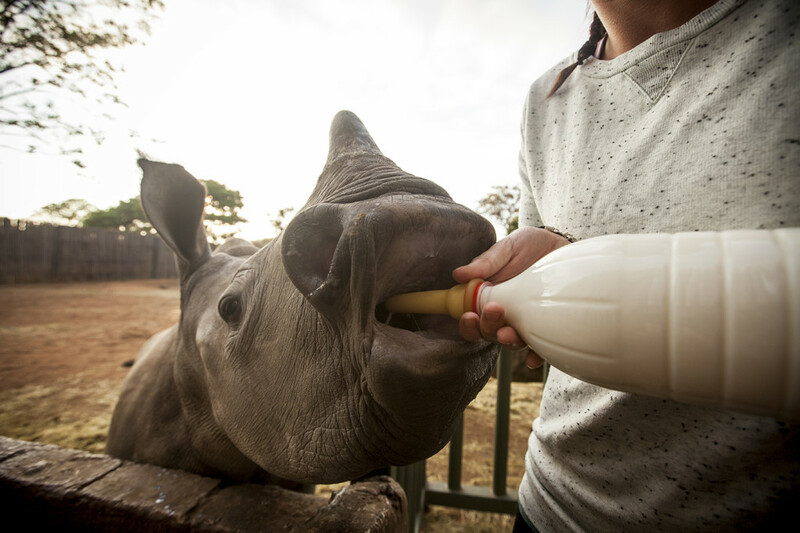 Through its US$10 million Urgent Response Fund, AWF has been supporting the anti-poaching efforts of two South African reserves with critical populations of black and white rhino. Funds have underwritten the purchase of an anti-poaching helicopter and motorcycles in an effort to increase monitoring and protection coverage in each of the reserves. As the founders of One Mire Generation (OMG) we agree rhino horn should never be legalized. It did not work with Ivory and it will not work with rhino horn. All those lobbying to legalize rhino horn sales have financial reasons for wanting it. If they think it will save rhinos then why not give it all away and with every piece they give away they could hand the user info on how it has no medicinal value and only kills rhinos. I’m just saying. Do not legalize Rhino horn trade. It’s brought that Asia kills whales, and dolphins just for their fine and as if that is not enough and cruel overall other countries want our pride and beauty. The hell with that.